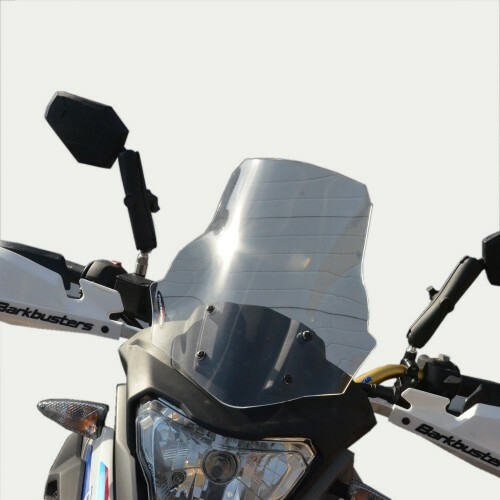 Much taller (170mm) adventure screen for BMW G310GS 2017-on, manufactured exclusively for Rally Raid Products. 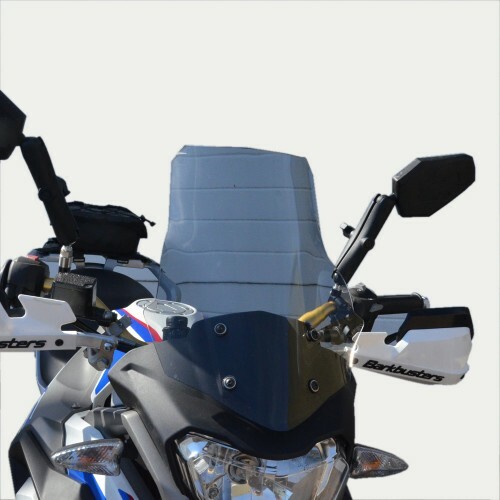 The curved cut-outs on each side are designed to clear BarkBuster handguards on full lock, with both OEM bars and Renthal RC609-1 Twinwalls with our Fat Bar Riser kit. Available in clear or light tint.